Tap thermometer for color selection. Tap barometer to update weather. 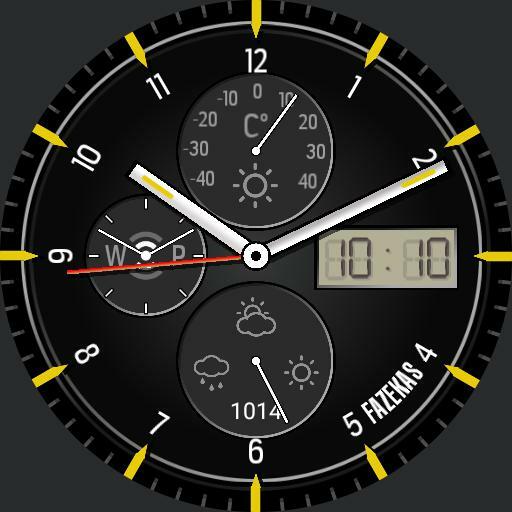 Tap battery to hide watch hands.